Scooper - Vehicles News: Baby you can drive my car! Cheeky toddler locks himself in mum’s car and beams with delight as fireman entertains him and workmates try to set him free. An adorable toddler grinned as he was entertained by a fireman as his colleagues battle to free the tot from a locked car in this heartwarming picture. 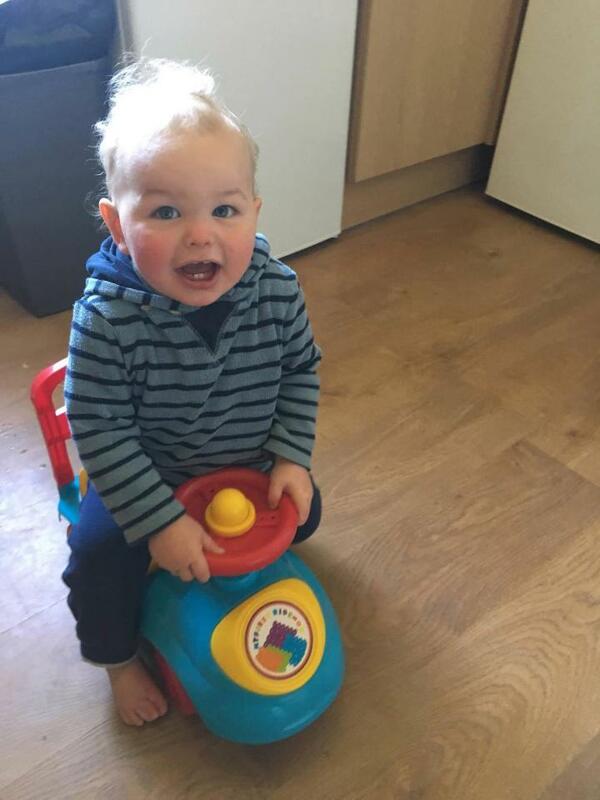 Little Brandon Emery, 14 months, can be seen bearing a huge and incredibly cute grin as he clutches the steering wheel of his mum’s motor after accidentally locking himself in. His mother, Kirsty Green, 27, described the rescue crews from Bude Community Fire Station, Cornwall as ‘amazing’ and “a credit to the community”. 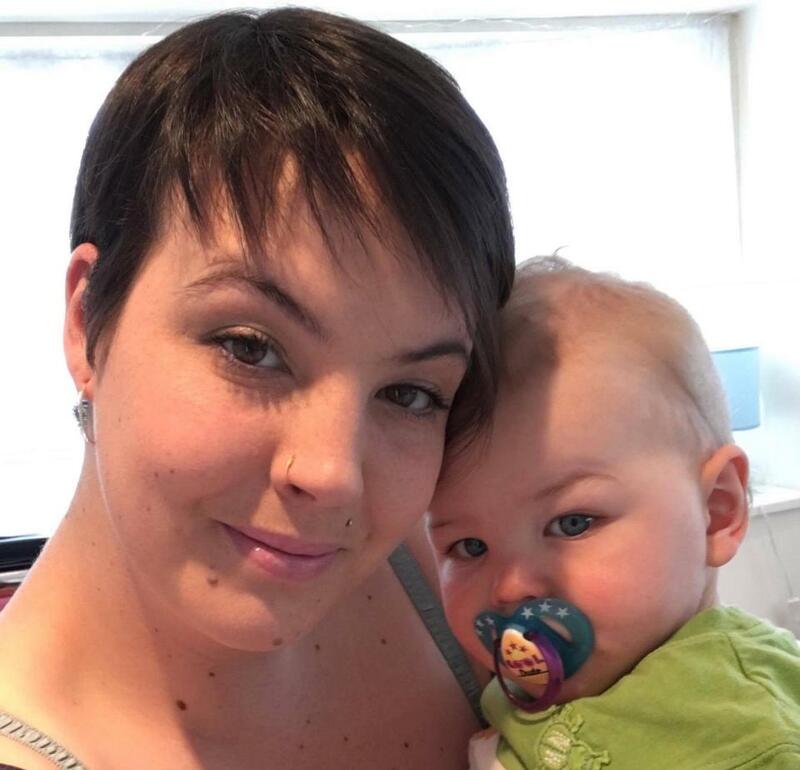 Kirsty, from Bude, said she had been shopping with her young son in Lidl on Friday afternoon, and had just unloaded the groceries into the boot of the car when Brandon managed to trap himself. “He’d been in the little child seat of the shopping trolley but it didn’t have any straps, so he kept trying to stand up while I was shopping,” she said. Kirsty said she had absent-mindedly placed her car keys in the boot while she was loading the car, and realised she had forgotten to pick them up – when her son pushed down the central locks inside the car. “I was a bit panicky at first, wondering how I was going to get him out, but luckily a few other shoppers quickly came to help me out, and one lady working in Lidl phoned 101,” she said. And Brandon’s mum credits the crews from Bude Community Fire Station, led by Watch Manager Matthew Wonnacott, for their ‘brilliant’ rescue efforts. “They were amazing, and I think just as much as they were keeping Brandon entertained, he was equally making them laugh,” she said. The crews were at first using small hand tools to attempt to free the toddler, but eventually had to smash the rear driver’s window and climb into the car, after Brandon managed to get hold of a two pence coin and put it in his mouth. “That’s when I started to panic, because I thought, ‘Oh God, what if he chokes on it’,” said Kirsty.